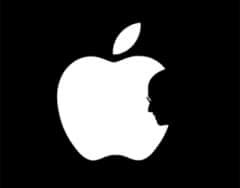 Unfortunately once with the death of Steve Jobs, Apple has remained completely without the creative spirit that has made from Apple the company that it is now. It is true that people who have built in recent years Apple computers are still in the company and will continue their work, but Apple was able to reach the performance level that is now only due to the visionary spirit of Steve. At the time when Steve has been CEO of the company had many good ideas scattered in many directions without being able to focus in a clear direction. CEO like Michael Spindler and Gil Amelio were those who struggled to bring Apple in the right direction trying to launch a stable operating system called Copland and followed by Gershwin but they has not be completed and marketed. Only after the return of Steve Jobs, Apple started to move again in the right direction. Therefore the next question is what will happen to Apple after Steve Jobs? Unfortunately my view is quite bleak. Personally I think that Apple will focus increasingly more on the iPhone and iPad ignoring increasingly more OSX, MacPro and MacBook hardware area. This trend already is seen for several years and will probably be even more visible in coming years. I do not think it would be a sudden change but one that will cover 3-4 years. Very likely it will reach a hybrid hardware iPad-Macbook that will run a version of OSX that will look more like iOS. I am almost certain that without Steve Jobs, Apple management will collapse for external pressures and will open OSX to the PC area making it possible to install on any PC system. Such a move would mean the death of Macbook series hardware products. iMac and MacPro. What make Apple products to be so good from the competition is not only the design and quality materials but the combination of hardware and software. The fact that the software is written for one type of hardware that they also produce it makes that an Apple product to be superior against to the competition. I think Apple’s current management will be more oriented to profit and will not have the financial, the business sense and the combination of creativity that Steve always gave evidence.